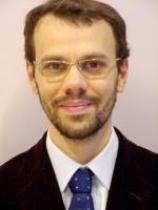 Dr. Marco Goldoni ist Senior Lecturer an der Rechtsfakultät der Universität Glasgow und forscht am Centre for Law and Public Affairs (CeLAPa) der tschechischen Akademie der Wissenschaften. The Juncker Commission began its mandate in the aftermath of a deep crisis affecting the Euro-zone. But was his political Commission able to open up economic and monetary policies to political accountability? The Italian electoral system is currently hotly debated. With the so called "Italicum" former PM Renzi had introduced a fundamental reform. After the 2016 Referendum on it, the Constitutional Court now literally cut the law in half. As the distance between political elites and the population in Europe increases, Italian Prime Minister Matteo Renzi’s plans of constitutional reform further impoverish political representation in Italy – both with respect to input and output of the process. That is why the opponents of the reform are gaining ever more traction among Italian voters and could in the end prevail. The EP 2014 Elections: Constitutional Change or Window-Dressing? The constitutional expectations developed around the European elections of May 2014 were effectively quite high. Faced with a mounting crisis affecting their output legitimacy, European institutions had to strengthen their status through a different channel. An agreement was struck among the main European political parties for nominating a candidate to the President of the European Commission to be supported, in case of victory at the polls, before the European Council. This novelty was introduced as a two-fold opportunity: first, as a chance for enhancing the representative quality of EU lawmaking and, second, to move the relationship between Parliament and Commission toward a form of parliamentary government. Did it succeed? In hindsight, it is clear that the elections of 2014 did produce some effects, but not those of significant politicisation initially envisaged.